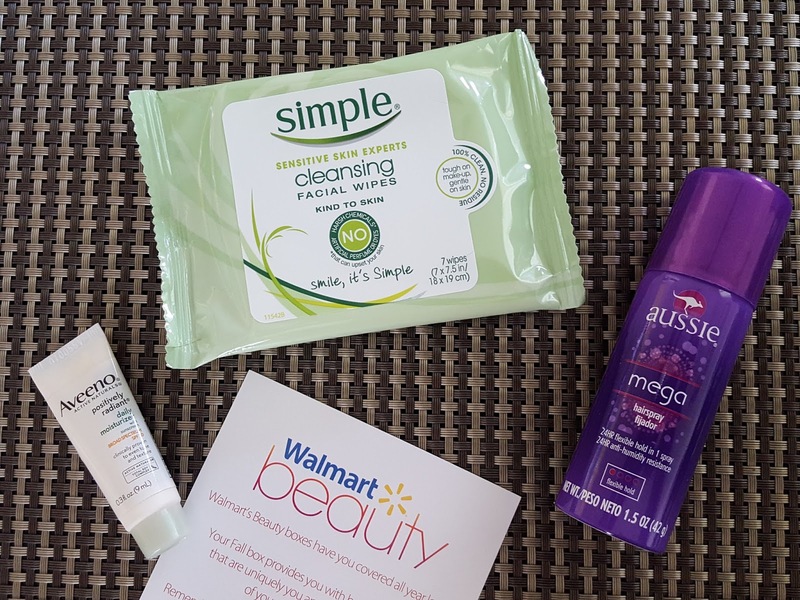 Last fall Walmart came out with their first ever beauty box. It promised to deliver the hottest products for the upcoming season and all you had to do was pay $5 shipping. Yep, the box itself was free. So I thought, Why Not? (you can read about that box here) A year later I'm still getting this box and it's honestly one of my favorites because I'm not a big spender when it comes to beauty, i.e. I do what it takes to get by. That means you won't find me emptying my wallet over a shampoo with gold flakes or moisturizer infused with dragon tears. Once in a while I'll splurge on a luxurious beauty product if I'm super impressed by it and can afford it, but I have no problem with my Neutrogena and Suave products. Schick Hydro Silk Disposable Razor (Single razor value: $3) - How convenient!! I'm actually currently using the non-disposable form of this very razor. So nice to have another :) I can personally vouch for this razor's effectiveness. You can't go wrong with 5 blades. This is coming with me the next time I go travelling. 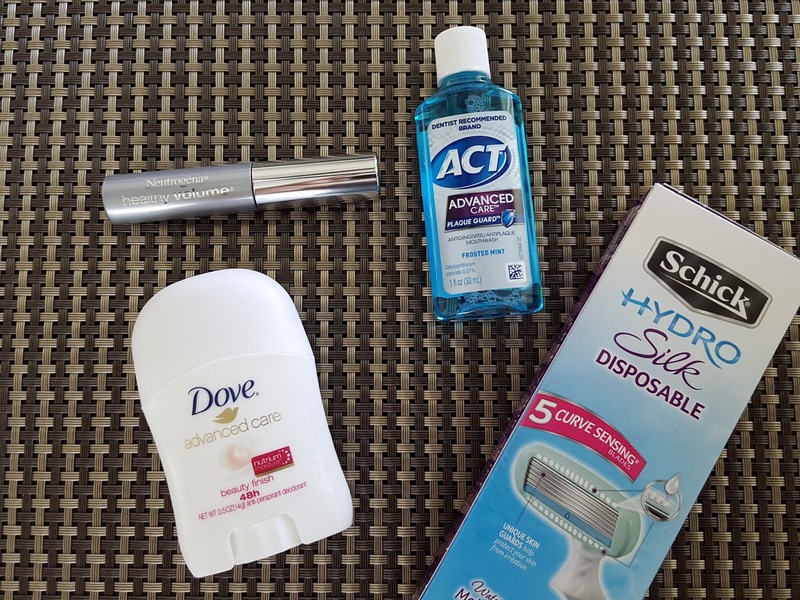 Dove Advanced Care Beauty Finish Deodorant (0.5oz value: $1) - You're probably wondering the same thing as me: What does Beauty Finish smell like? I guess I'd describe it as my third grade teacher's perfume. But that would help no one so I'll try again. It's like clean linen fluttering in the breeze. I'm sure that was of no help either, but it's just what I pictured when I first sniffed it...other than my third grade teacher. This deodorant offers 48 hour protection, though I'd still recommend showering everyday over going nuts with the deodorant. Aveeno Active Naturals Positively Radiant Daily Moisturizer SPF 30 (0.3oz value: $1) - You can't have a sub box without a moisturizer. When it comes to moisturizing, Aveeno knows what they're doing. I've only used their body washes and lotions because I'm afraid the facial moisturizers will make my oily face break out with its super hydrating properties. Fortunately, this one is oil-free. Hmmm, now I'm curious. Simple Cleansing Facial Wipes (7 ct. value: $1) - I need to get into the habit of using facial wipes. I carry them around knowing I'll need it when it's humid and sticky outside, but I always end up reaching for a shirt sleeve instead. These are also supposed to remove waterproof makeup but I'm not sure how much I'd trust that claim. So far no wipe I've tried (even makeup wipes) has been able to completely remove eye makeup. Aussie Mega 24hr Flexible Hold Hairspray (1.5oz value: $1) - I don't use hairspray so I don't have much to say about this except it smells really, really sweet. Like cotton candy. I wonder if it's as sticky as it smells? Does that question even make sense? Lot of foil samples - The box always includes a bunch of foil samples. They're usually moisturizer of foundation samples, but this box also included a sample of Crest 3D White toothpaste system and a Biore self-heating charcoal mask. I'm already using the toothpaste (thanks for the extra!) and am super excited to try out the mask. 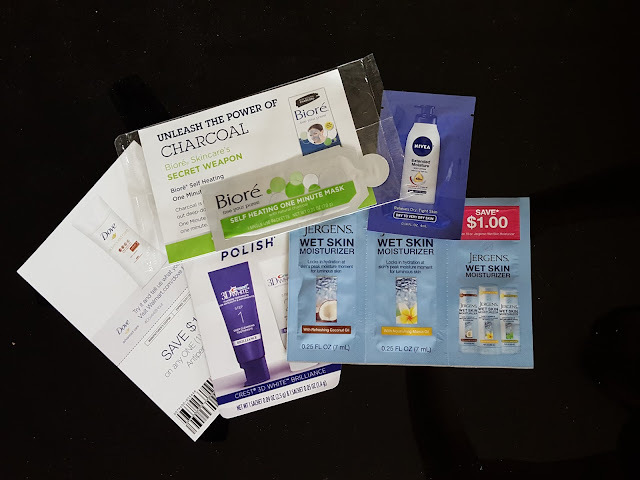 I love charcoal masks :) Not to mention most of these samples come with coupons to purchase the full size if you like the product! I think this is my favorite Walmart Beauty Box to date. It may not be the highest valued (this one was valued at about $13) but I loved the curation. It included mostly hygienic items and not so much beauty or skincare. I will probably use everything except the hairspray and maybe the mascara...the unsealed thing makes me uneasy. If it was going on my skin fine, but eyes are one thing I don't like to mess around with when it comes to sanitation. 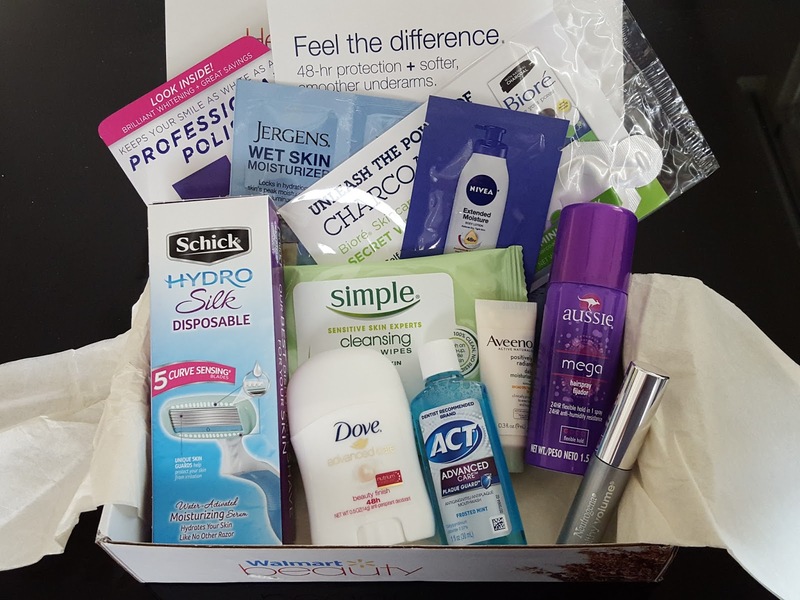 If you want a quarterly box of affordable drugstore brands goodies, sign up here to get a box shipped to your doorstep at the beginning of each season. They may still have the Fall boxes available but I don't know for how much longer so be sure to pick one up soon if you're interested! Note: All opinions contained within this post are my own. BarkBox Review - October 2015 + Get A FREE Box!